Boss airbag and 6mm thick brackets has enabled vehicles to carry the load they were intended to. 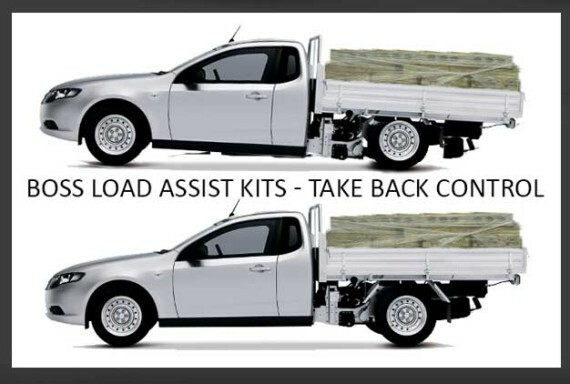 Boss Load assist kits are easy to fit and most simply bolt on using basic hand tools. Strong brackets and only the best quality airbags are used in these kits. Kit comes with neccessary hardware, hoses & valves for manual operation. While it is not needed, consider adding a compressor or on board air kit so you can inflate your airbags anywhere anytime.